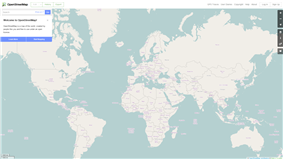 OpenStreetMap (OSM) is a collaborative project to create a free editable map of the world. Two major driving forces behind the establishment and growth of OSM have been restrictions on use or availability of map information across much of the world and the advent of inexpensive portable satellite navigation devices. OSM is considered a prominent example of volunteered geographic information. Rather than the map itself, the data generated by the OpenStreetMap project are considered its primary output. The data are then available for use in both traditional applications, like its usage by Craigslist, OsmAnd, Geocaching, MapQuest Open, JMP statistical software, and Foursquare to replace Google Maps, and more unusual roles like replacing default data included with GPS receivers. This data have been favourably compared with proprietary datasources, though data quality varies worldwide. 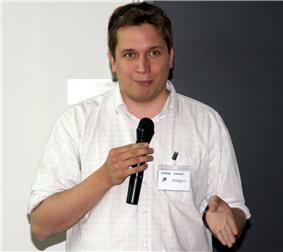 Steve Coast founded the project in 2004, initially focusing on mapping the United Kingdom. In the UK and elsewhere, government-run and tax-funded projects like the Ordnance Survey created massive datasets but failed to freely and widely distribute them. In April 2006, the OpenStreetMap Foundation was established to encourage the growth, development and distribution of free geospatial data and provide geospatial data for anybody to use and share. In December 2006, Yahoo! confirmed that OpenStreetMap could use its aerial photography as a backdrop for map production. Bennett, Jonathan (2010). OpenStreetMap: Be Your Own Cartographer. Packt Publishing. Ramm, Frederik; Topf, Jochen; Chilton, Steve (2010). OpenStreetMap: Using and Enhancing the Free Map of the World. UIT Cambridge. ^ "Translating OpenStreetMap". Retrieved 27 July 2015. ^ "Stats". Retrieved 28 July 2015. ^ Anderson, Mark (18 October 2006). 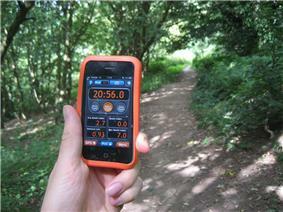 "Global Positioning Tech Inspires Do-It-Yourself Mapping Project". ^ Lardinois, Frederic (9 August 2014). "For the Love of Mapping Data". ^ Frederick Ramm,Jochen Topf, Steve Chilton (2011). OpenStreetMap: Using and Enhancing the Free Map of the World. UIT Cambridge. 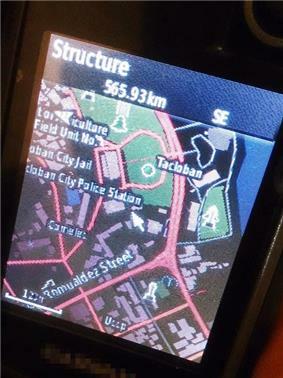 ^ "OSM Map on Garmin". OpenStreetMap Wiki. Retrieved 25 July 2014. ^ Zielstra, Dennis. "Comparing Shortest Paths Lengths of Free and Proprietary Data for Effective Pedestrian Routing in Street Networks" (PDF). University of Florida, Geomatics Program. Retrieved 14 November 2012. ^ Coleman, D. (2013). Potential Contributions and Challenges of VGI for Conventional Topographic Base-Mapping Programs. In Sui, D., Elwood, S and Goodchild, M. (Eds. ), *Crowdsourcing Geographic Knowledge: Volunteered Geographic Information (VGI) in Theory and Practice* (pp. 245–264). New York, London: Springer Science+Business Media Dordrecht. ^ "WikiProject India". OpenStreetMap Wiki. Retrieved 15 April 2011. ^ "State Of The Map 2014". OpenStreetMap. Retrieved 2 June 2014. ^ "Import/Guidelines". http://wiki.openstreetmap.org/. Retrieved 23 March 2015. The import guidelines, along with the Automated Edits code of conduct, should be followed when importing data into the OpenStreetMap database as they embody many lessons learned throughout the history of OpenStreetMap. Imports should be planned and executed with more care and sensitive than other edits, because poor imports can have significant impacts on both existing data and local mapping community. ^ "Routing on OpenStreetMap.org | OpenStreetMap Blog". Retrieved 2015-04-28. ^ "Emerillon in Debian repositories". ^ Forrest, Brady (1 February 2010). "Technology Saves Lives In Haiti". ^ "Digital Help for Haiti". ^ European Commission Joint Research Centre (15 January 2010). "Haiti Earthquakes: Infrastructure Port-au-Prince 15/01/2010" (PDF). ^ "OpenStreetMap Wiki: Database". http://wiki.openstreetmap.org/. Retrieved 10 February 2015. ^ "Foursquare Blog". Blog.foursquare.com. Retrieved 2013-09-23. ^ Raphael, JR (8 September 2009). Monopoly City Streets' Online Game: Will Buying Park Place Be Any Easier?"'". ^ "Monopoly game launches on Google". ^ "World of the Living Dead Resurrection Expands Closed Beta". StrategyInformer.com. Retrieved 6 January 2014. WorldHeritage uses OpenStreetMap data to render custom maps used by the articles. Many languages are included in the WIWOSM project (WorldHeritage Where in OSM) which aims to show OSM objects on a slippy map, directly visible on the article page. 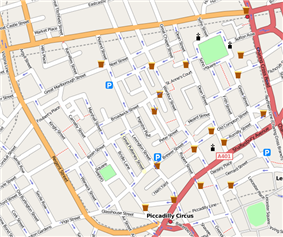 Wikivoyage uses OpenStreetMap as a locator map for cities and travel points of interest. Pictometry uses OpenStreetMap as the default map in their web based products for displaying their patented 3D aerial photography. In 2009, Hasbro, the games company behind the property trading board game Monopoly, launched Monopoly City Streets, a massively multiplayer online game which allowed players to "buy" streets all over the world. The game used map tiles from Google Maps and the Google Maps API to display the game board, but the underlying street data was obtained from OpenStreetMap. The online game was meant to be a limited time offering, closing at the end of January 2010. 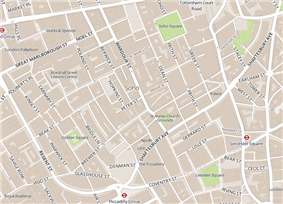 On 29 February 2012, Foursquare started using OpenStreetMap via MapBox's rendering and infrastructure. Craigslist also switched to OpenStreetMap in 2012, rendering their own tiles based on the data. Flickr uses OpenStreetMap data for various cities around the world, including Baghdad, Beijing, Kabul, Santiago, Sydney, and Tokyo. In 2012, the maps switched to use Nokia data primarily, with OSM being used in areas where the commercial provider lacked performance. MapQuest announced a service based on OpenStreetMap in 2010, which eventually became MapQuest Open. The main copy of the OSM data is stored in OSM's main database. The main database is a PostgreSQL database, which has one table for each data primitive, with individual objects stored as rows. All edits happen in this database, and all other formats are created from it. Tags are key-value pairs (both arbitrary strings). They are used to store metadata about the map objects (such as their type, their name and their physical properties). Tags are not free-standing, but are always attached to an object: to a node, a way or a relation. A recommended ontology of map features (the meaning of tags) is maintained on a wiki. While OpenStreetMap aims to be a central data source, its map rendering and aesthetics are meant to be only one of many options, some which highlight different elements of the map or emphasize design and performance. Notably, Automotive Navigation Data provided a complete road data set for Netherlands and details of trunk roads in China and India. In December 2006, Yahoo! confirmed that OpenStreetMap was able to make use of their vertical aerial imagery and this photography was available within the editing software as an overlay. Contributors could create their vector based maps as a derived work, released with a free and open license, until the shutdown of the Yahoo! Maps API on 13 September 2011. In November 2010, Microsoft announced that the OpenStreetMap community could use Bing vertical aerial imagery as a backdrop in its editors. For a period from 2009 to 2011, NearMap Pty Ltd made their high-resolution PhotoMaps (currently of major Australian cities, plus some rural Australian areas) available for deriving OpenStreetMap data under a CC BY-SA licence. Software used in the production and presentation of OpenStreetMap data is available from many different projects and each may have its own licencing. The application – what users access to edit maps and view changelogs, is powered by Ruby on Rails. The application also uses PostgreSQL for storage of user data and edit metadata. The default map is rendered by Mapnik, stored in PostGIS, and powered by an Apache module called mod_tile. Certain parts of the software, such as the map editor Potlatch2, have been made available as public domain. All data added to the project needs to have a license compatible with the Open Database License. This can include out-of-copyright information, public domain or other licenses. Contributors agree to a set of terms which require compatibility with the current license. This may involve examining licenses for government data to establish whether it is compatible. OpenStreetMap data was originally published under a Creative Commons open content license with the intention of promoting free use and redistribution of the data. In September 2012, the license was changed to the Open Database License (ODbL) from Open Data Commons (ODC) in order to more specifically define its bearing on data rather than representation. Along with post-disaster work, the Humanitarian OpenStreetMap Team has worked to build better risk models for Uganda and elsewhere, in partnership with the Red Cross, World Bank, and other humanitarian groups. The Humanitarian OpenStreetMap Team acts as an interface between the OpenStreetMap community and the humanitarian organizations. After Haiti, the OpenStreetMap community continued mapping to support humanitarian organizations for various crisis and disasters. After the Mali disaster (January 2013), Typhoon Haiyan in the Philippines (November 2013), and the Ebola virus epidemic in West Africa (March 2014), the OpenStreetMap community has shown it can play a significant role in supporting humanitarian organizations. NGOs, like the Humanitarian OpenStreetMap Team and others, have worked with donors like USAID to map other parts of Haiti and parts of many other countries, both to create map data for places that formerly were blank, and to engage and build capacity of local people. OpenStreetMap maintains lists of online and offline routing engines available, such as the Open Source Routing Machine. The OSM data is popular with routing researchers, and is also available to open-source projects and companies to build routing applications (or for any other purpose). The most obvious software to employ to make use of the data provided by the OpenStreetMap project, is to view it in any ordinary web browser via Hypertext Transfer Protocol (HTTP). Some government agencies have released official data on appropriate licenses. Much of this data has come from the United States, where works of the federal government are placed under public domain. Some committed contributors adopt the task of mapping whole towns and cities, or organizing mapping parties to gather the support of others to complete a map area. A large number of less active users contribute corrections and small additions to the map. As collecting and uploading data is separated from editing objects, contribution to the project is possible also without using a GPS unit. 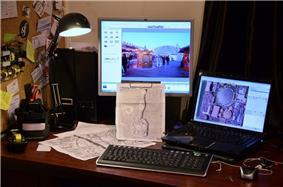 In particular, placing and editing objects such as schools, hospitals, taxi ranks, bus stops, pubs, etc. is done based on editors' local knowledge. Once the data has been collected, it is entered into the database by uploading it onto the project's website. At that point, no information about the kind of uploaded track is available – it could be e.g., a motorway, a footpath, or a river. Thus, in a second step, editing takes place using one of several purpose-built map editors (e.g., JOSM). This is usually done by the same mapper, sometimes by other contributors registered at OpenStreetMap. The project has a geographically diverse user-base, due to emphasis of local knowledge and ground truth in the process of data collection. Many early contributors are cyclists who survey with and for bicycles, charting cycleroutes and navigable trails. Others are GIS professionals who contribute data with Esri tools. Editing of maps can be done using the default web browser editor called iD, an HTML5 application using d3.js and written by MapBox. The earlier Flash-based application Potlatch is retained for intermediate-level users. JOSM and Merkaartor are more powerful desktop editing applications that are better suited for advanced users. Map data is collected from scratch by volunteers performing systematic ground surveys using tools such as a handheld GPS unit, a notebook, digital camera, or a voice recorder. The data is then entered into the OpenStreetMap database. Ways to import and export data have continued to grow – by 2008, the project developed tools to export OpenStreetMap data to power portable GPS units, replacing their existing proprietary and out-of-date maps. In February 2008, a series of workshops were held in India. 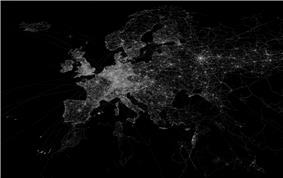 In March, two founders announced that they have received venture capital funding of 2.4M euros for CloudMade, a commercial company that uses OpenStreetMap data.